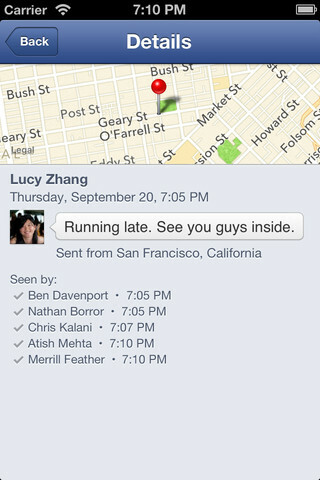 Facebook Messenger for iOS version 2.0 now lets you pin people you message most to a Favorites section. 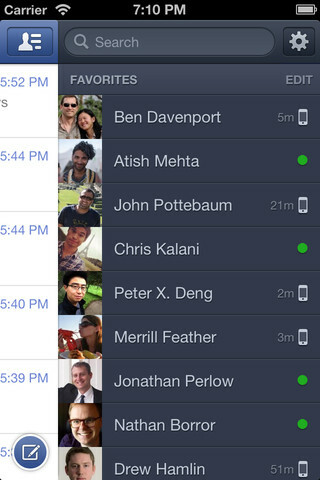 You can also swipe left to reveal a pane with friends available for chat, another way overdue feature. 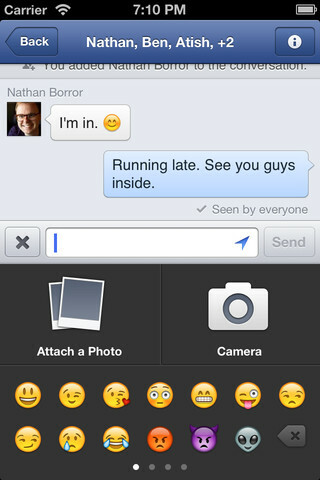 Unlike its Android counterpart, Facebook Messenger on iPhone doesn’t integrate with SMS messages, which is a shame but it’s not Facebook’s fault due to restrictions on the iOS platform imposed by Apple. This is the new chat interface. And this is the availability pane revealed by swiping to the left. 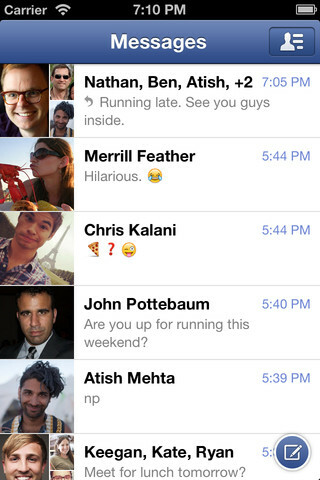 Facebook Messenger is a free download for your iPhone and iPod touch. Sadly, the iPad isn’t supported natively at this moment. 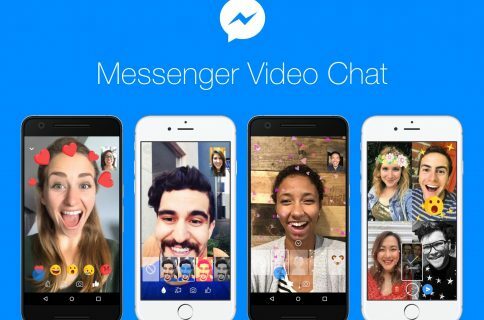 Give it some time as Facebook is thought to be working on Messenger for iPad with Skype video calling. You’d be forgiven for thinking there’s no point in having the Messenger app on your iPhone when the Facebook iOS app already has chat functionality built-in. 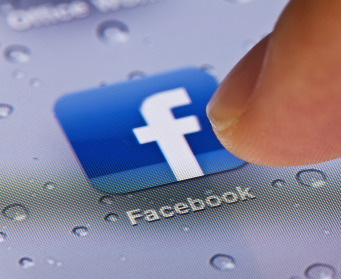 But if you have more than one Facebook account (for business and pleasure, for example), juggling between the two in the Facebook iOS client just to check for new messages quickly becomes tedious. To solve this problem, I’m logged in to my business account on Facebook via iOS and the Facebook client while using the Messenger app to keep tabs of chat messages on my other account. This way, I am able to receive push notifications for new messages on both accounts and respond to them via the Facebook app or Messenger app, depending on where they’ve arrived. Is there anyone out there doing the same thing? Oh, an fan iDB on Facebook if you haven’t already.